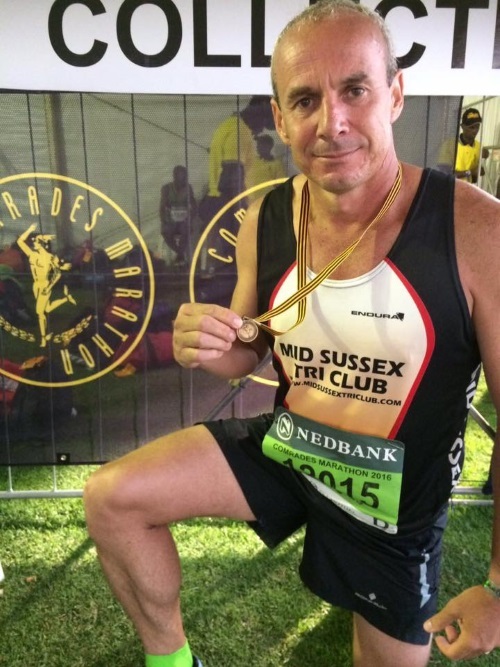 Douglas Mac Taggart competed in the Comrades Ultra marathon on Sunday 29th May running the 89 km from Pietermaritzburg to Durban in South Africa. Doug was really pleased with his time of 10hrs 36mins 55 secs which earned him a comfortable bronze medal. 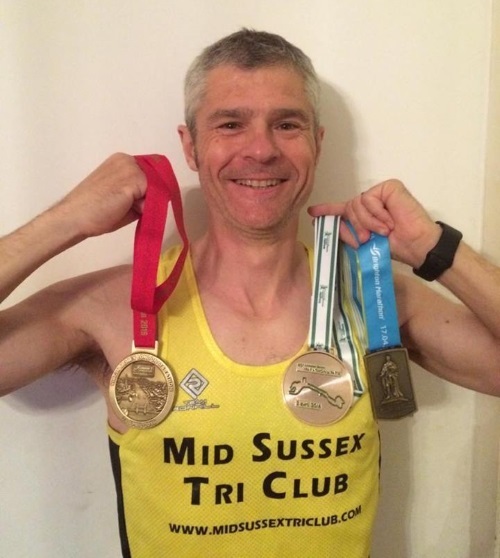 Dr James Graham of Hassocks and a Mid Sussex Triathlon Club member has set himself a big challenge of completing three marathons in under 3 hours in 22 days and then competing in four Ironman events culminating in the World Ironman Championships in Hawaii on the 8th October. James is dedicating this effort to a dear friend who has Alzheimer's Disease and every penny raised will go to the Alzheimer's Society as he is paying for all race entries, travel, accomodation etc. So far James has completed the three marathons in Paris 2.59.20, Brighton 2.51.49 and London 2.55.45 as well as the Ironman in Lanzarote in 13.56.48. James will compete in further preparation Ironman events in Weymouth and Tenby in September before tackling the prestigious World Ironman event in Hawaii in October. If you would like to support Dr Graham's challenge and donate to the Alzheimer's Society please go to https://www.justgiving.com/James-Graham19.